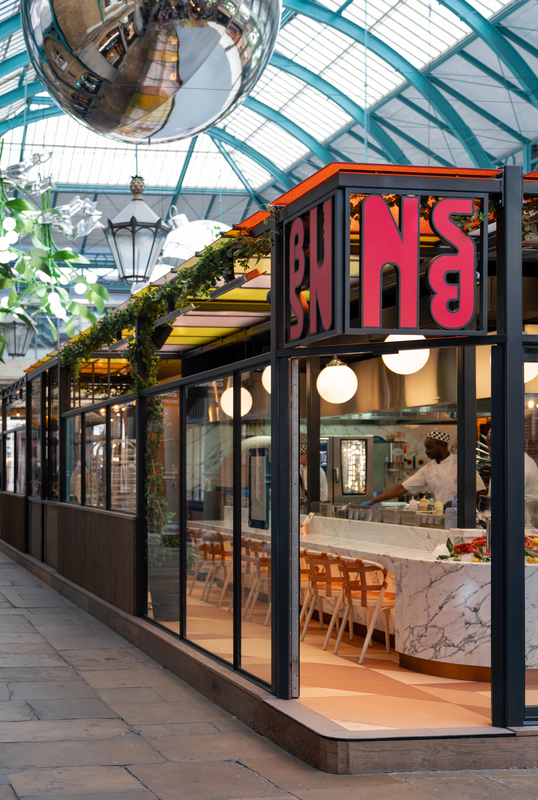 Michaelis Boyd has unveiled its design for Buns & Buns, a new restaurant in Covent Garden, London. The open theatre kitchen in the centre of the space is flanked by a low-level bar clad in marble and provides additional space for dining. 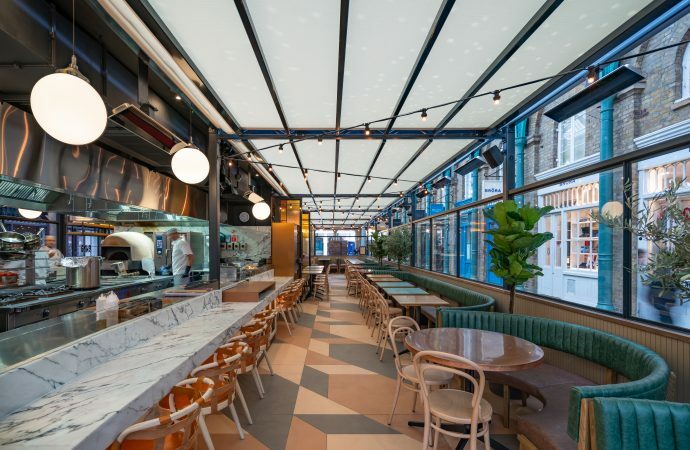 The kitchen echoes the restaurant’s position within the former flower market and the wider context of the theatricality of Covent Garden, acting as a focal point for diners and passers-by who can watch the busy chefs preparing a variety of dishes. Diners can also sit at the curved open-plan cocktail bar which is clad in green leather with a sleek, white marble top. Michaelis Boyd has used a vibrant colour palette for the restaurant which sets the space apart from the monotone stone buildings of the surrounding market. The exuberant colour palette is married with bold stained-glass paneling, copper accents and a range of contemporary lighting, including warm filament bulbs which are strung above the restaurant. The space also features bold geometric flooring in warm earthy tones, leather seating and an abundance of greenery. Michaelis Boyd’s intention was to create another world within the restaurant in which the diner feels as if they are stepping from the market into something unique. 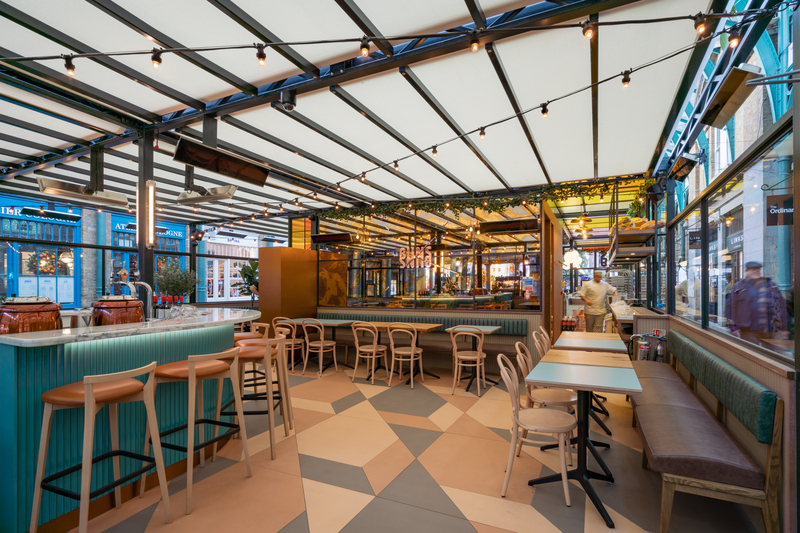 The colours used in the design are also a nod to the restaurant’s own heritage, drawing on the art-deco influences of Miami, where Buns & Buns’ first restaurant was opened.